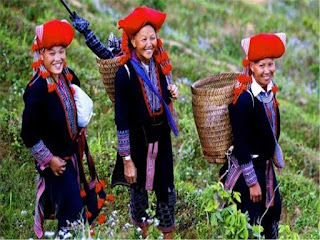 Sapa, the small tourist town of Vietnam's northwest region, reminds us of a wildly area where travellers can gain great trekking experience while discovering the rich culture of ethnic minorities groups by experiencing the unique customs in the daily life of local residents. 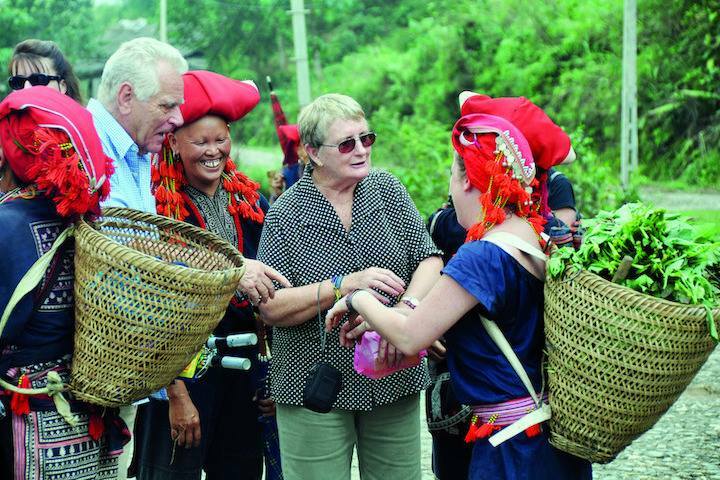 It can be said one of the most interesting experiences you should try in Sapa is visiting Sapa market where you will get a deep and impressive seeing about life style as well bold culture of ethnic minorities groups in Northwest region of Vietnam. Visiting Sapa market in the morning, you will see a lot of local people gather at food stalls to enjoy favorite breakfast of steamed corn wheat, horse soup and corn wine. 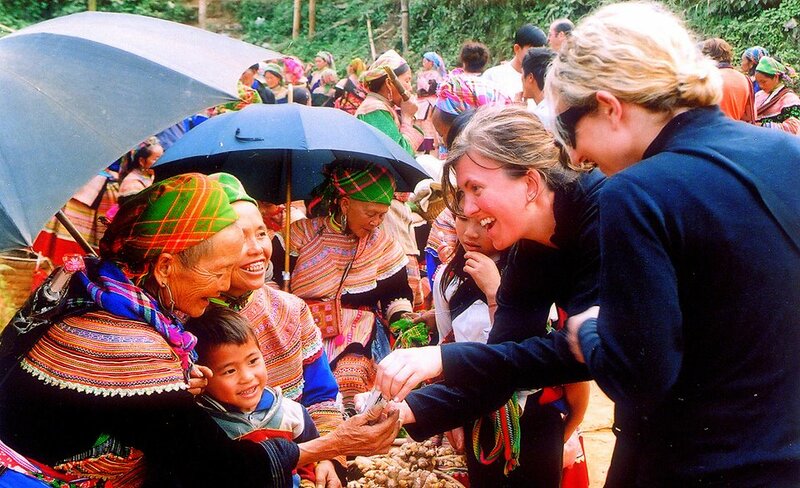 These are traditional food and beverage of local people in Sapa, and must-try for any tourists who come here. There are a lot of indigenous products you can buy here such as embroidered skirts, handbags, blankets, pillow shams and table covers with unique patterns. 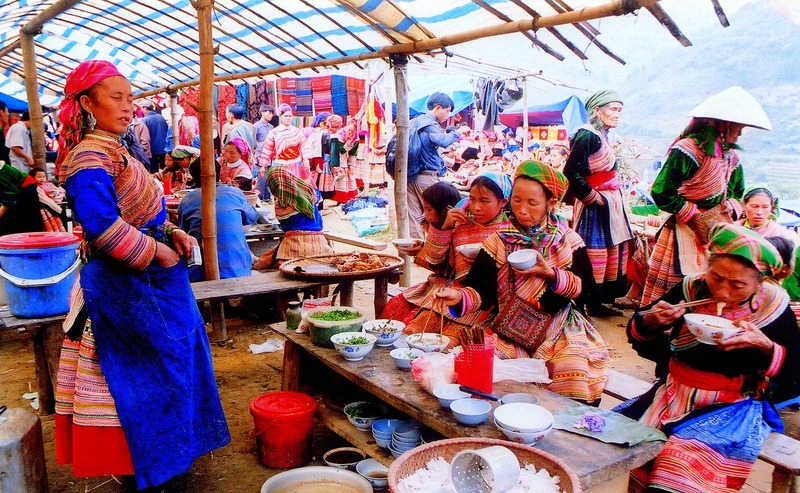 Especially, Sapa is also where you will looking for the clean agricultural products such as vegetable, fruits, meat, ... Interestingly, you will have chance to enjoy the delicious dishes right at this unique market. 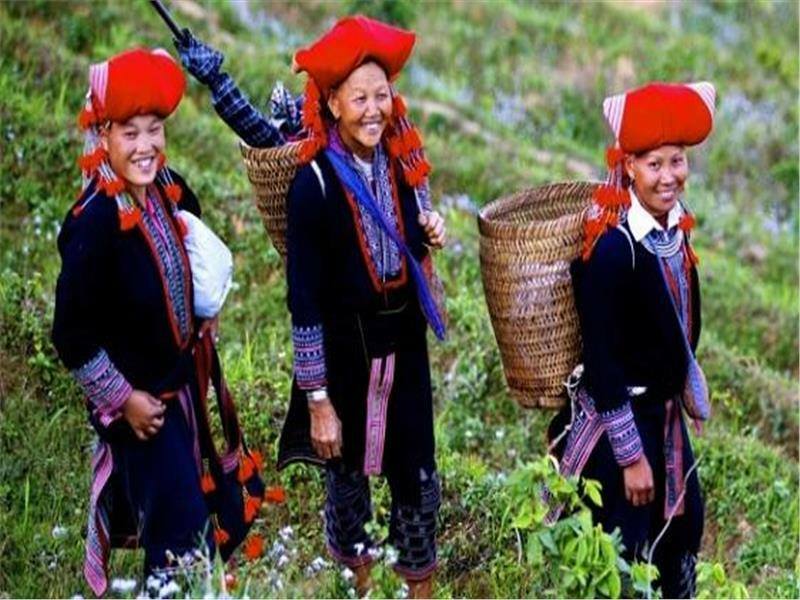 For the ones who are enchanted by colorful costume of H'mong, Red Dao people in Sapa, Sapa market tour is really an interesting tour you are looking for. This market is also where, you can talk speak to local people who can converse quite well in English. If you are enchanted by these unique markets, Asia Charm Tours will provides you with some Sapa markets you should have them in your destination list in Sapa including Bac Ha market tour, Coc Ly market tour, Can Cau market tour or Cao Son market tour. Tag: Sapa biking Tours, Sapa market tours, Sapa trekking tours, Vietnam Package Tours.